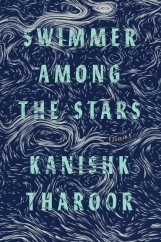 Swimmer Among the Stars announces Kanishk Tharoor as a writer whose work is incredibly intelligent but also, importantly, filled to the brim with magic and wonder. It’s hard not to be wary of a book as aesthetically beautiful as Swimmer Among the Stars, the debut collection by author Kanishk Tharoor. Its lovely blue cover, designed by Tyler Comrie from an image courtesy of NASA’s Goddard Space Flight Center Scientific Visualization Studio, at once recalls both a sky and a sea, which fits the work’s dreamy title. The font used for story titles could have been ripped from some ancient Norse tome and even the stories themselves are a feast for the eyes, with full, weighty paragraphs and titles like “The Mirrors of Iskandar” and “The Fall of an Eyelash” gracing some very fancy paper. But such stunning presentation can’t help but conjure sage words from childhood: “never judge a book by its cover.” That cynical inner voice whispers that this could be lipstick on a pig, that there would be no reason to make excellent writing look this good. Shouldn’t the work stand on its own? 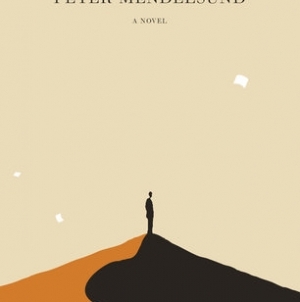 Any wariness is proven unnecessary after reading just a few pages of the book’s first, titular story, “Swimmer Among the Stars,” in which a team of anthropologists travel to an isolated village to interview the last speaker of an endangered language. Not only is the writing equally, if not more, beautiful than the physical book itself, Tharoor’s bold imagination outshines his book’s lovely cover in every way. 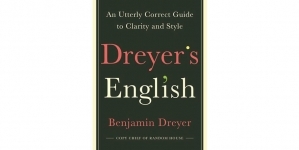 Writing about language is a landmine for writers; for every “Story of Your Life” (the Ted Chiang story that inspired last year’s hit film Arrival) there are a dozen tales by writers who think readers will be as fascinated by linguistics as they are. Tharoor uses his story to comment on language, sure, but his larger focus is on the paradoxical nature of globalization and cultural evolution. “Swimmer Among the Stars,” is an excellent start and sets the tone for the 13-story collection that goes backwards and forwards in time and includes settings all over (and beyond) the world. Though there are many highlights, in particular “The Mirrors of Iskandar,” which is actually made up of 14 shorter stories, even more impressive is that there are no disappointments or even misfits. Though many of the stories are very different, there is an ethereal flow to the material that links them all together. Tharoor accomplishes this smooth coherence through his language, which, while precise, has a certain magical haze to it that allows the mind of the reader to comfortably jump from ancient China to near-future outer space. Tharoor’s voice is that of a bygone storyteller sitting next to a mesmerizing fire, slightly formal but also committed to the near constant flow of physical detail in order to allow the reader to visualize events. Though he addresses crises past and future, this work still feels very much of our present. Numerous stories acknowledge climate change and even those stories set long ago tie allegorically to current global political concerns. One story in particular, “Tale of the Teahouse,” is so beautifully attuned to current tensions that it feels as if it must have been written yesterday. This is certainly a collection of literary fiction even though many of Tharoor’s stories feature elements from both science fiction and fantasy. 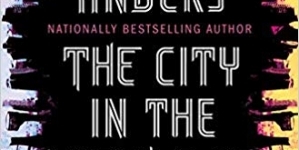 But the literary label feels a bit reductive, as it can sometimes add some expectation of elitism or at least a bit of academic struggle on the part of the reader. The beauty of Swimmer Among the Stars is that its tales are expertly written and subtextually savvy but also completely satisfying in terms of entertaining and transporting the reader. 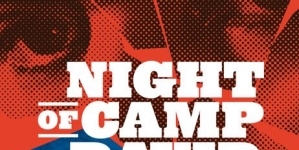 There is an accessibility to these stories that is missing from much literary short fiction and that may be the most praiseworthy element of this very commendable effort. 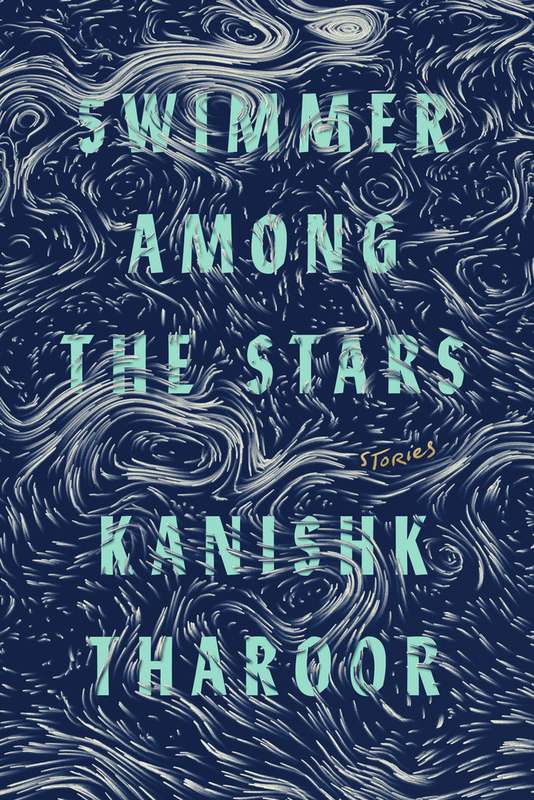 Swimmer Among the Stars announces Kanishk Tharoor as a writer whose work is incredibly intelligent but also, importantly, filled to the brim with magic and wonder.